Clients receive a carefully-crafted treatment plan that addresses their most pressing problems and goals, one that is guided by the latest in scientific advances and that seeks the most efficient and compassionate path forward to health. 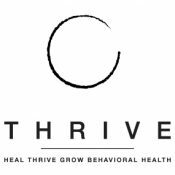 THRIVE is co-founded by Linda Dimeff, PhD, Andrew White, PhD, and Loren Wampler, executive team at Portland DBT Institute, Inc. to better serve needs of our Portland, OR community. We welcome your referrals of adult and adolescent clients. General referrals may be made to our Intake Coordinator at (503) 290-3297 or by visiting the Getting Started page of our website. Please do not hesitate to contact our offices should any questions.